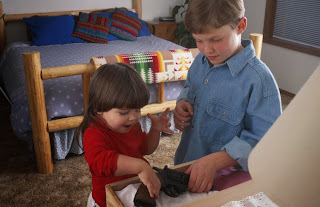 Priceless Parenting Blog: Ask "Is there an unlocked gun in your house?" Parents ask all sorts of questions before their children visit other homes. The Asking Saves Kids (ASK) Campaign encourages parents to add one more question to this conversation: “Is there an unlocked gun in your house?” It’s a simple question, but it has the power to save a child’s life. The ASK Campaign was created in collaboration with the American Academy of Pediatrics. Across the country, it has successfully inspired an estimated 19 million households to ask if there are guns where their children play. June 21st is National ASK Day. Held annually on the first day of summer, a season when children spend more time in other homes, ASK Day reminds parents about the importance of ASKing if there is an unlocked gun where their children play. This ASK Day, pledge to ASK at www.askingsaveskids.org. You can also learn about more ways to get involved, and how you can spread the ASK message, both on ASK Day and year-round.